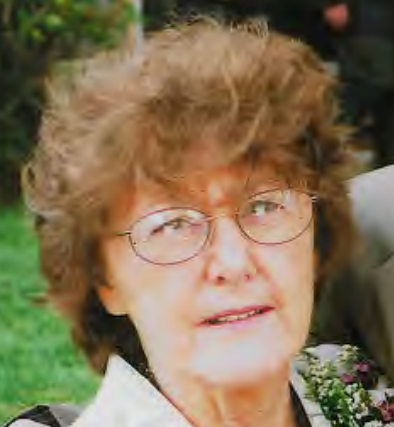 Spencer - Helen C Pelchat age 84 passed away peacefully at home on March 27, 2019, under the loving care if her family. She is survived by her husband of 67 years, Norman Pelchat, her daughters, Mary Pepin (Robert) of Warren; Patricia Pelchat (Ken Uracius) of Brookfield; son Norman Pelchat (Wendy) of Spencer; grandchildren Jeffrey Newell; Morgan Pelchat and Logan Pelchat, sisters Maryann Bigwood of Spencer and Karen Hutchinson of Hurricane Mills, TN; sister-in-law Jane Benoit of Spencer and many nieces and nephews. She is predeceased by her eldest grandson Patrick Newell, brother Joseph Benoit and brother-in-law William Bigwood. She was born in East Brookfield daughter of Joseph and Mary Benoit. She was a loving mother and grandmother and always put her family first. She enjoyed reading, gardening and crafts. The family would like to thank Central Mass Hospice for their compassionate care in her final days. Memorial contributions may be made to the Patrick Newell Memorial Scholarship Fund c/o D.P.H.S. PO Box 172 Spencer, MA 01562. There are no calling hours. The Shaw-Majercik Funeral Home, 48 School St., Webster, has been entrusted with her arrangements. A guest book is available at www.shaw-majercik.com where you may post a condolence or light a candle.